I am an overseas foreign worker in HK from the Philippines. I applied for a visitor visa and my employer is funding the trip. I have not submitted payslips, only my contract which states the salary amount, my bank book, passport, my employer’s supporting letter plus his tax return to show his financial capacity. However, it is not uncommon in HK for domestic helpers to receive salary in cash, hence there is no entry in my passbook showing the flow of income. In my passbook my employer has transferred a significant amount to fund my trip. I am fully aware there is no way I can afford the trip just based on my salary. The only reason I am going is clearly because it will be funded 100%. How do I prove that this is genuine? That such money is solely for the trip? 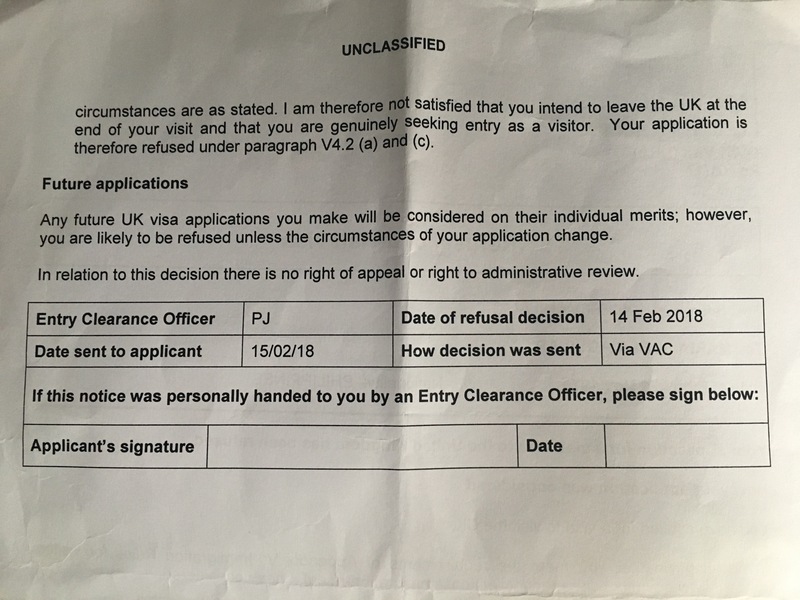 Also, apart from my obvious job in HK, to which I will without doubt be going back to, how else do I prove that I have all intentions of leaving the UK at the end of my specified trip? Take a look at our question Should I submit bank statements when applying for a UK Visa? What do they say about me?, which explains what the UK is looking for in your bank statements. You'll see your case discussed under "funds parking." To start, pay stubs documenting that you are regularly paid in cash will help demonstrate your income. Your employer could also provide documentation that they've paid you a 40,000HKD bonus. That said, it's going to be difficult to convince the ECO that your employer has paid you a bonus of nearly eight months of your salary so you can take an overseas vacation, as that will likely strike them as unusual. Not the answer you're looking for? 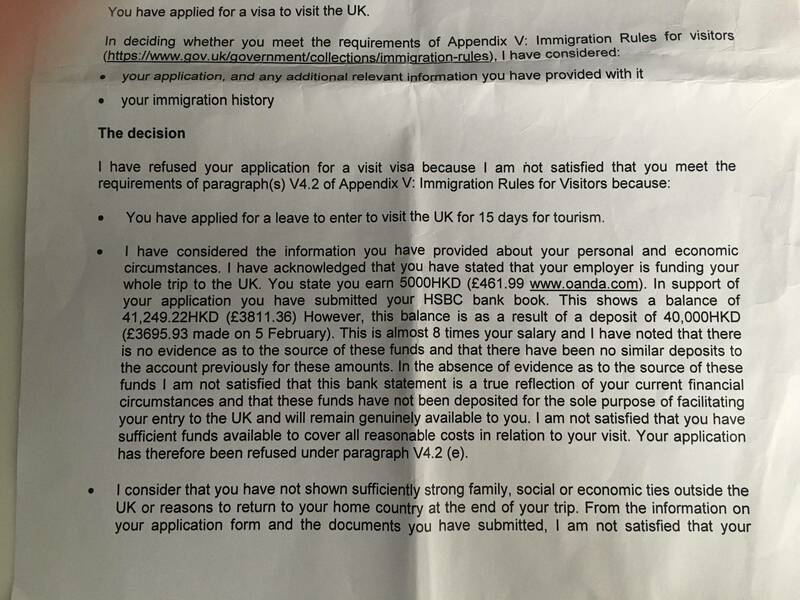 Browse other questions tagged uk visa-refusals standard-visitor-visas proof-provenance-of-funds or ask your own question.